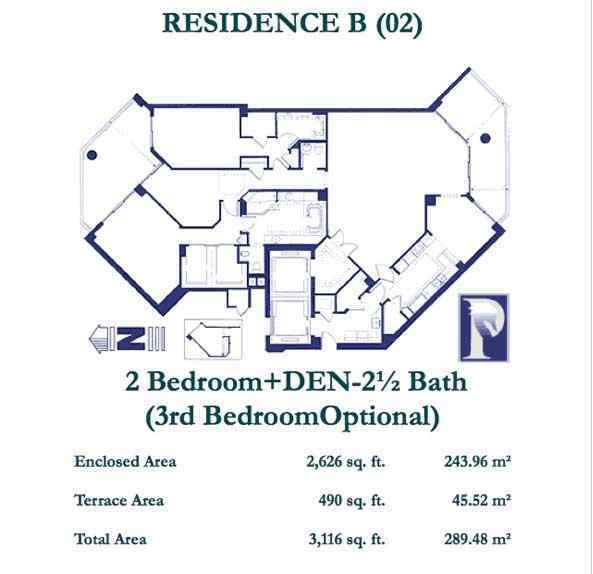 Units Sizes: 800 to 3,400 Sq.Ft. Atlantic III at The Point located at 21050 Point Place, Aventura Fl 33180, was built in 2000 by Architect Robert Swedroe with 30 floors and only 167 luxury residences. 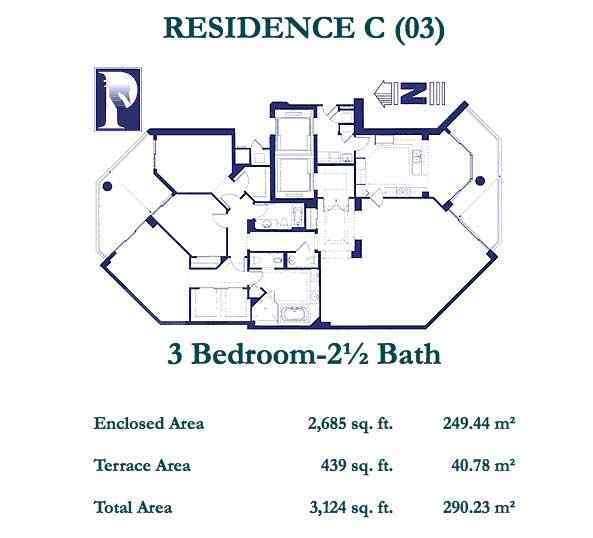 Atlantic III offers one, two, three and four bedrooms ranging in size from 800 Sq.Ft. To 3,400 Sq.Ft. 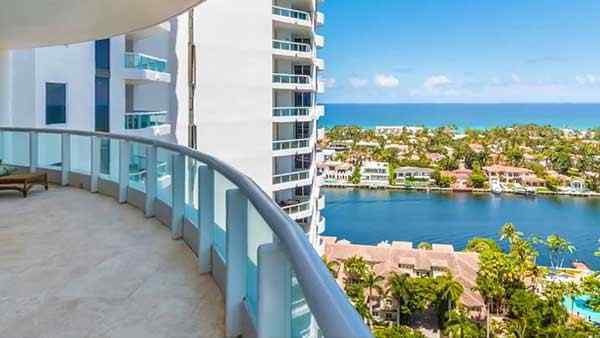 Atlantic III at The Point, is one of a trio of residential waterfront apartments located on the Intracostal Waterways with extraordinary Ocean, City, and Intracostal views. 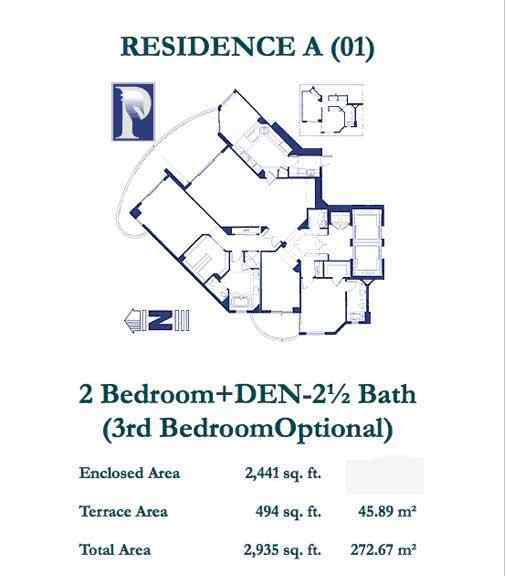 Atlantic III at the Point is an excellent choice for any size family since they have one bedroom units as well as large apartments with up to four bedrooms. Atlantic III residents enjoy in-tower amenities, such as a private home theater with stadium seating, a library and reading room, tea rooms, children’s rooms, and private party and conference rooms, valet, concierge, and 24-hour security. Atlantic III at The Point also includes additional suites available for guest accommodation, as well as separate staff quarters. Atlantic I residences feature nine-foot ceilings, oversized terraces, sliding glass doors. The Point Towers and courtyard homes- are set amidst 36 acres of landscaped park area. Within this community, residents have access to a variety of exercise and relaxation activities, such as two oversized heated swimming pools, a waterfront social pool, and children’s pool and play area, four Har-Tru tennis courts, and an Intracoastal viewing pier. The community also features a waterfront promenade surrounding The Point Marina; this boardwalk provides residents with a convenient 1-mile path directly to the local shopping and fine dining at The Waterways Shoppes across the bay. Lying at the center of The Point Community is the 25,000 square foot Residents Club & Spa. The expansive clubhouse features Mediterranean architecture and is open only to Atlantic and The Point residents. 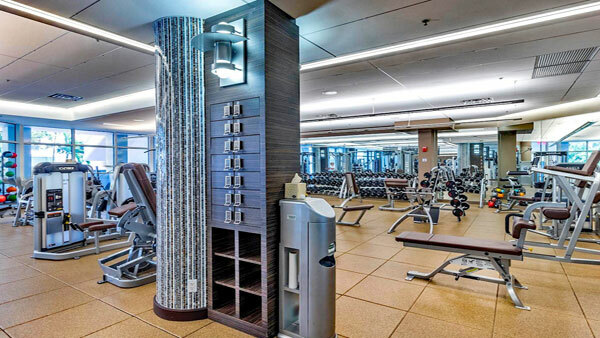 The facilities include The Point Place Café; a fully equipped cardio, weight training, and aerobics facility; his and hers spa and treatment facilities; billiard, garden, and media rooms; and a private nail care studio. The Point condominiums feature floor to ceiling windows and large terrace with incredible views at least two sides of the building. To the north, residents have beautiful waterfront views of Golden Isles, Waterways; the eastern side provides views of the Intracoastal Waterway as well as the Atlantic Ocean lying beyond a small strip of Golden Beach. Views to the south and west provide a panoramic view overlooking the landscaped gardens and private marina of The Point community. The city of Aventura settled in North Miami-Dade between the Fort Lauderdale and South Beach making it the ultimate place for people who want to experience the best of South Florida. Aventura provides its residents with a lifestyle that is indeed desirable, a lifestyle that filled with luxury and sophistication. Its outstanding location provides the locals with easy access to the most excellent shopping and dining options. Aventura Mall, which included three floors of retail space and over 300 luxury brands, Loehmann’s Plaza, Turnberry Isles Golf Course one of the most prestigious golf course in the world and the Gulfstream Park, a racetrack and casino. Aventura Arts & Cultural Center which hosts many theatrical and musical shows and performances from a spectacular waterfront setting within the city as well as the Aventura City of Excellence School that ranked above average in the Miami-Dade County school system. My 20 years of real estate experience in Miami, has allowed me to develop a deep understanding of the local real estate market. When combined with the marketing campaigns from Optimar International Realty, one of the best Real Estate Company with offices across Miami, New York, South America, London, and Israel, have proven time and time again that listing your home with me will drive the most highly qualified buyers to your home. When you ready to buy or sell your home at The Point, Echo Aventura, Porto Vita or Williams Island, hire the best and the brightest in the industry, you can contact me at 1+305-281-8653 or email us at ghrealtor18@gmail.com, it will be my honor to help you find your next home in South Florida. Hablo Espanol.